The Polar Bears rally from 16 points down to beat the Mammoths and remain unbeaten through 19 games. Bowdoin is still the one. 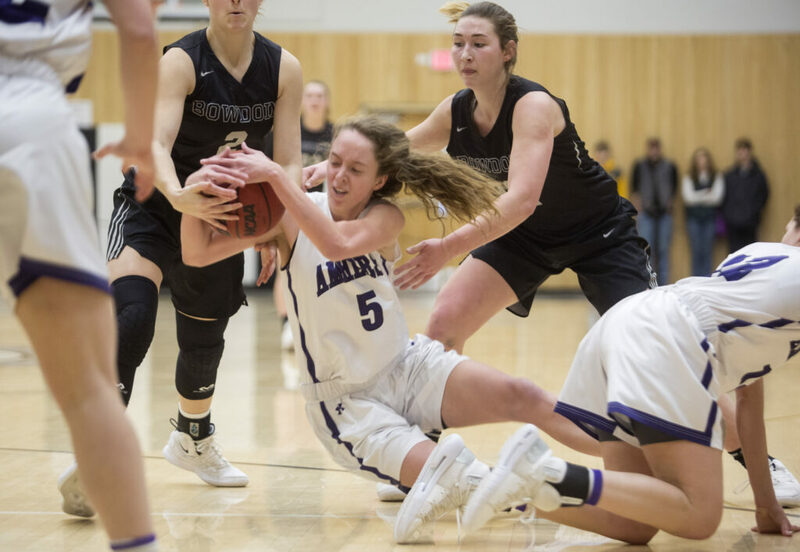 The top-ranked Polar Bears rallied from a 16-point halftime deficit to beat third-ranked Amherst 65-56 before 1,400 at Morrell Gymnasium. 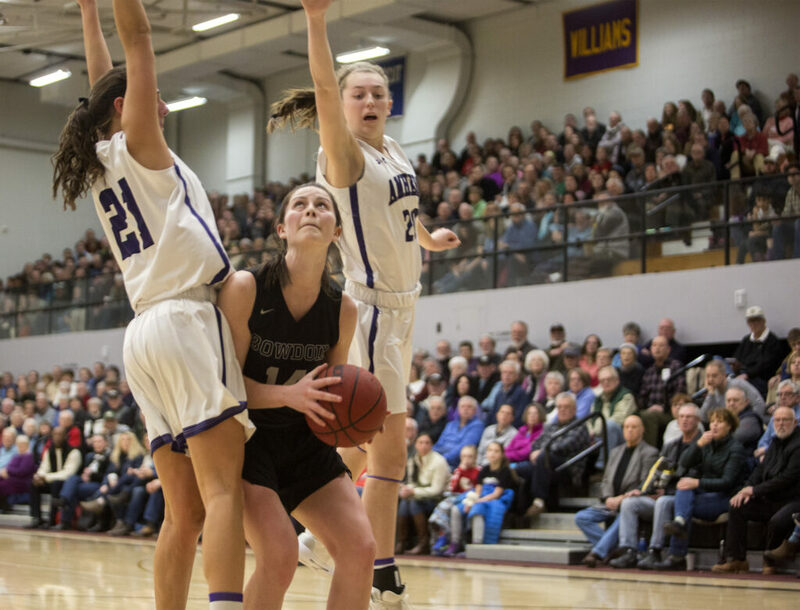 Abby Kelly led Bowdoin with 17 points. Maddie Hasson scored 14 and Samantha Roy added 13. 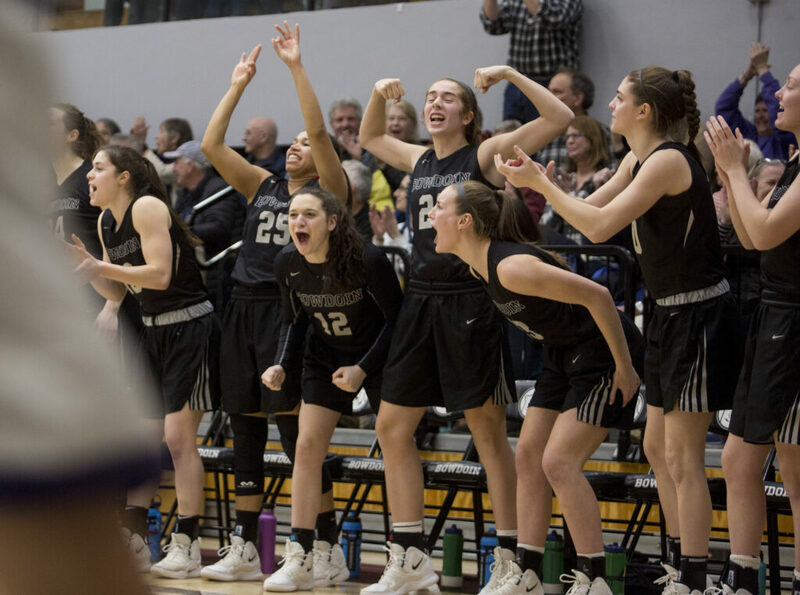 The victory against the two-time defending national champion will keep Bowdoin (19-0) atop the Division III polls, and in line for the top seed in the New England Small College Athletic Conference tournament, with a 6-0 league record. 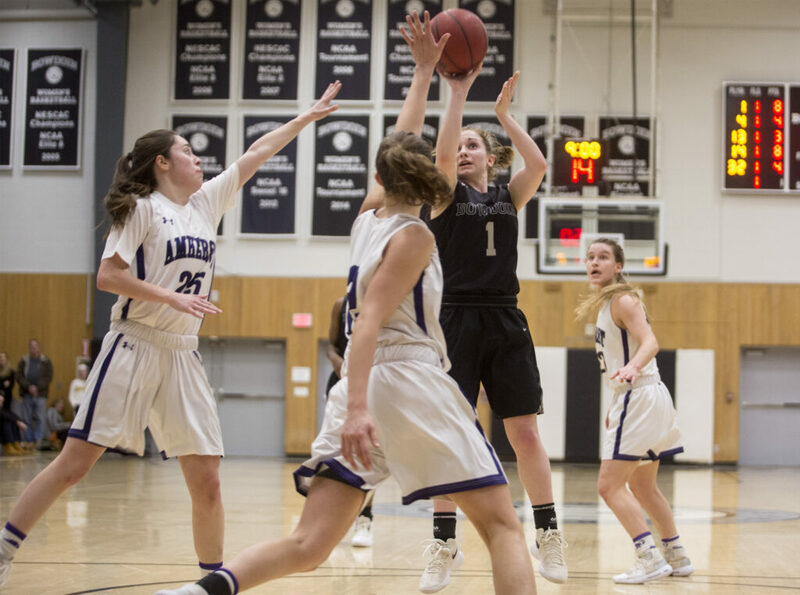 Amherst (17-2, 4-1) looked superior in the first half when Bowdoin, which has the second-best offense in the nation with an 86-point average, shot 20 percent. “We knew we were better than this,” Roy said. 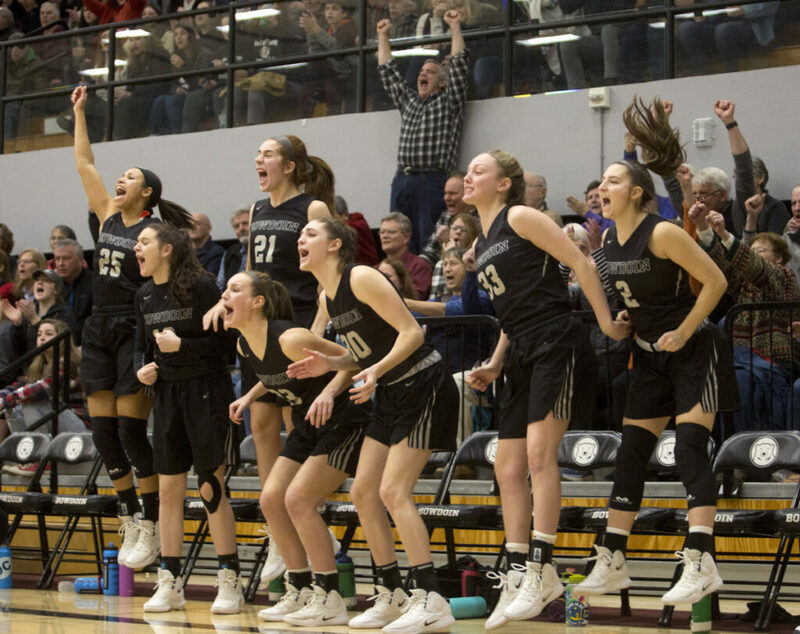 The Polar Bears also had to stop the Mammoths’ offense that continually found the open shot, especially with its All-Americans, forward Madeline Eck and guard Hannah Fox. They picked apart the Polar Bears with 58 percent shooting in the half. Bowdoin emerged from the locker room a different team. Hasson, scoreless in the first half, began the second with a drive. Kelly hit a 3-pointer. Roy, the 5-foot-4 floor general, scored on a drive after a steal. 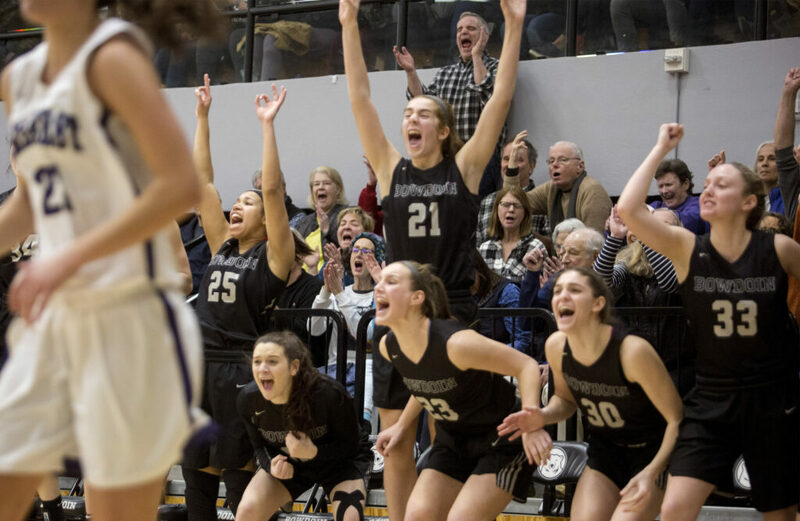 Bowdoin trailed 34-25 and the fans came to life – especially the student section. The points kept coming but it was the defense that clamped down, stopping the passes inside and facing up shooters. 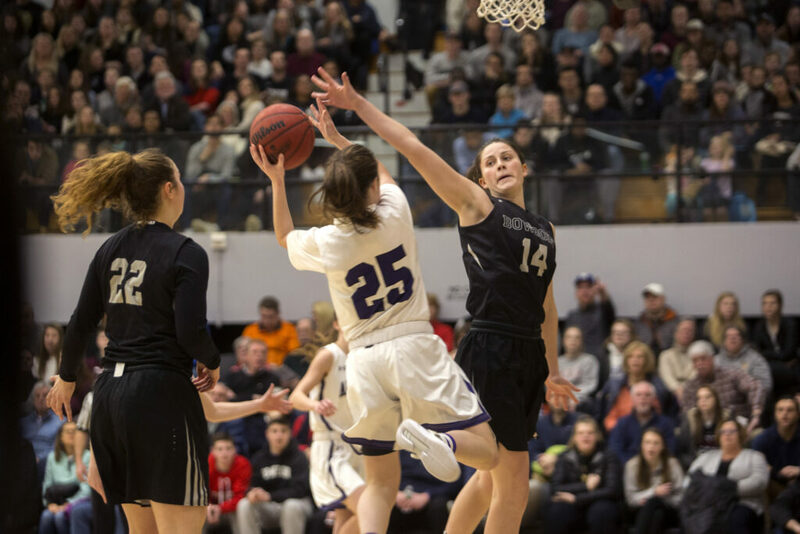 “We were playing Bowdoin basketball,” Kelly said. 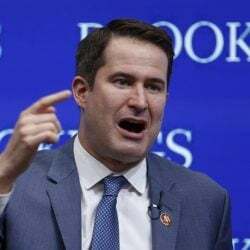 Hasson hit a put-back. On defense, she dove to swat the ball from the Mammoths and forced a jump ball. Roy’s drive gave Bowdoin its first lead, 41-40 with 2:33 left in the third quarter. 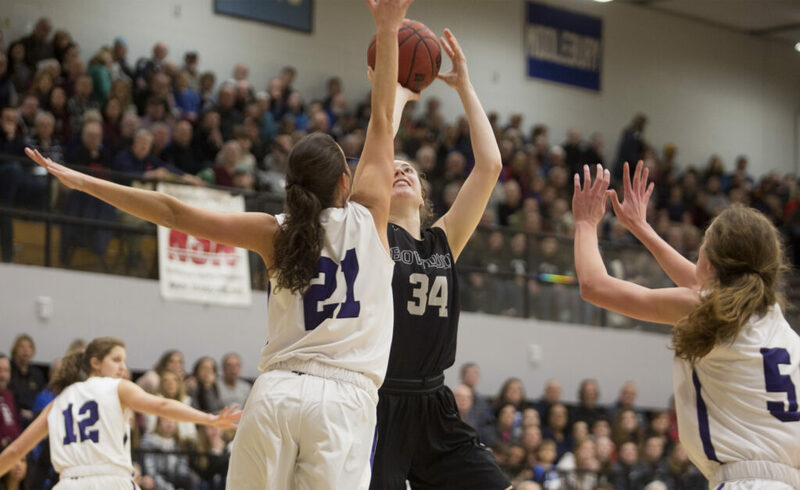 Amherst hit two free throws but Hannah Graham’s layup put the Polar Bears up for good. 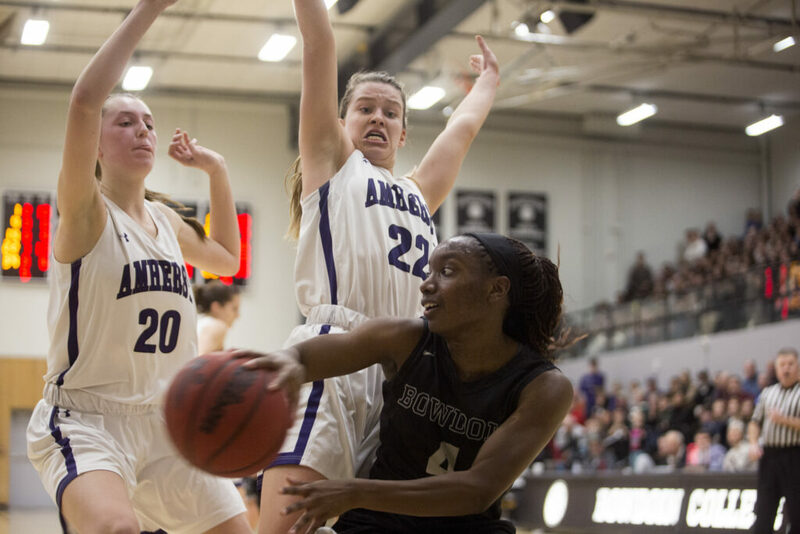 Bowdoin outscored Amherst 28-10 in the quarter, shooting 65 percent. Eck finished with 21 points. Fox was held scoreless in the second half and finished with 10. The Mammoths used only six players compared to 10 by Bowdoin. Bowdoin extended its lead to nine but the Mammoths inched back, trailing 57-54 with 2:26 left. Hasson scored on a drive (59-54). Amherst answered with a layup (59-56). On Bowdoin’s next possession, Graham threw a cross-court pass to Roy, open behind the arc. She drained it for a 62-56 lead with 1:29 left. 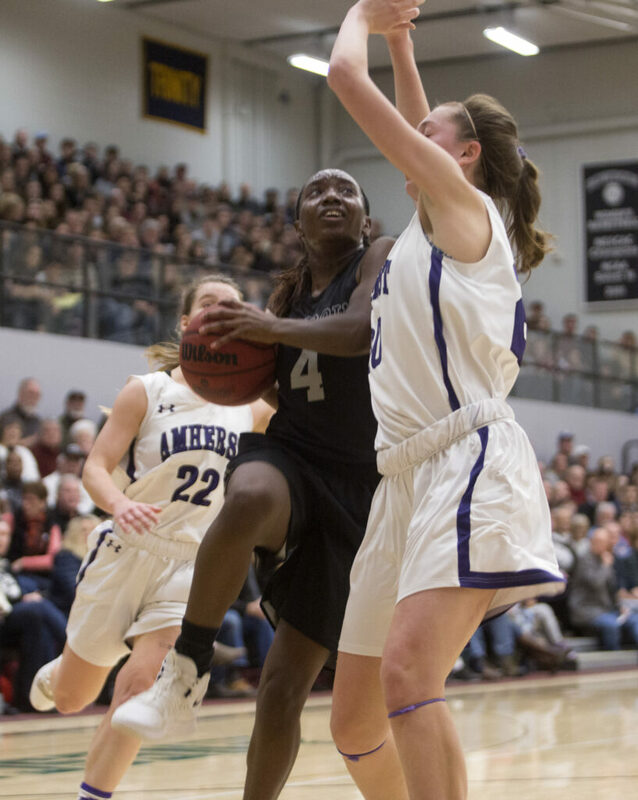 Bowdoin plays again Tuesday at home against New England College, then finishes the regular season with four conference games – at Middlebury and Williams, thenhome vs. Connecticut College and Wesleyan. Amherst is at No. 6 Tufts on Friday.